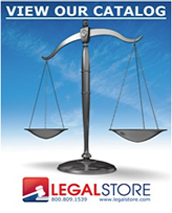 Complete line of Time & Billing Supplies for every law firm including journals, ledgers, systems and case & file indexes. Offer a wide variety of Checks at everyday low prices! Wide selection of Case & File Indexes! Wide variety of Journals & Ledgers! Complete Selection of Systems for all your practice requirements! Client Ledger, 8-1/2" x 11"